There are different ways to discover the island and one of my favourites is to do it by bicycle. You can rent a bike and go by yourself or book a bicycle tour with a guide. There are lots of places where you can rent bicycles, even some resorts have bicycles for their guests. Personally I prefer Koh Chang Holiday in Chai Chet, the mountain bikes Boong is renting are in very good shape compared to other places. 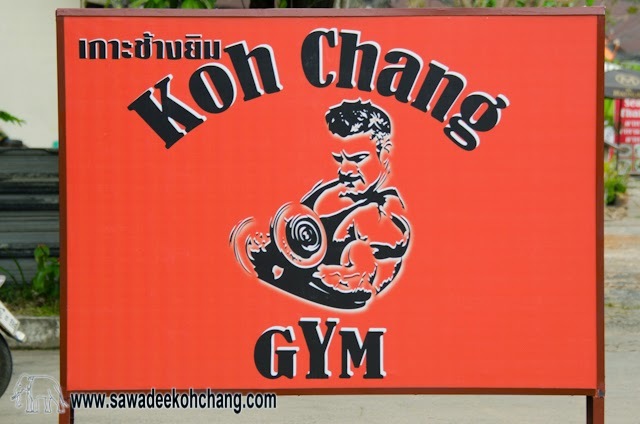 Prices start from 150 baht per day but for a longer period you will get a better deal. And it includes a helmet, front and tail lights and a lock. You never know what can happen during your holidays, be sure you have a travelling insurance which will cover all the costs in case of accident. The west coast is very busy, be extremely careful, cars, motorbikes, vans, trucks and even stray dogs won't care about you. Prefer to explore small roads where there is less traffic. From White Sand beach to Kai Bae it's pretty easy. But between Klong Son and White Sand Beach and between Kai Bae and Bang Bao there are steep hills. It's a good way to train but if you are not used to, it will be very hard. And if it's sunny or not, remember to take water with you, with the small wind or with the clouds you won't feel the heat but if you don't drink you will dehydrate fast. You can also get nasty sunburns on your neck, arms and calves. The east coast is much better, more relax. It's very quiet, much less traffic than the west side and hills are very gentle. And the best part, most of the roads are in the shadow which is very pleasant during the high season. If you are not confident to explore the island by yourself, then why not to book a bicycle tour with an experienced guide? Chat from Slow Life Cycling, who is also the owner of the excellent Pajamas Koh Chang Hostel, is arranging such tours. It starts in Klong Son, taking small road and discovering the local life. The tour costs about 1,000 baht per person and it includes the transfer from your resort or hotel, the bicycle, the helmet, water, lunch, snacks and insurance.